Our range of two-part nickel Binding Screws offer a classy editable document binding method for brochures, menus, wines lists & programmes etc. 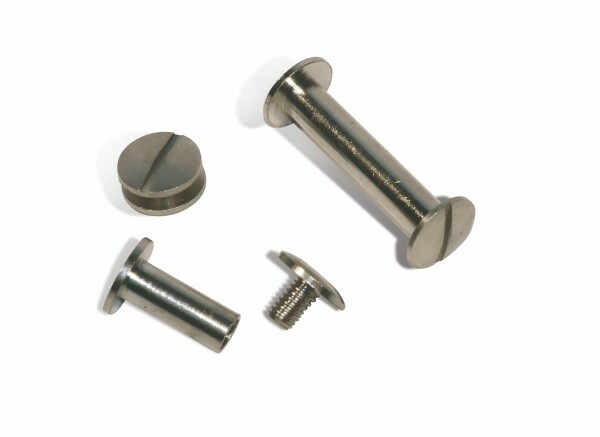 Also known as interscrews or Chicago screws, binding screws are available in a range of capacities from 2mm to 25mm. For documents larger than 25mm simply add screw extension posts. Modern polished nickel (plated brass) finish. Shaft dimension 5mm, head diameter 10mm.